Last week we shared some simple homemade Valentines with printables, using Pop Rocks and bouncy balls. They were so much fun to make! I love for the kids to be able to give something to their friends that is personalized and homemade. Especially when it doesn’t cause me a lot of work or expense. I have a few more printables and ideas for Valentines that I want to share. 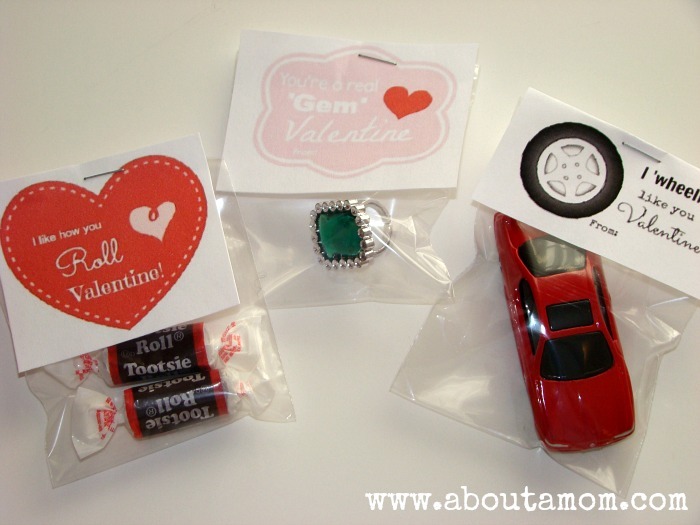 These printables pair well with Tootsie Roll candy, small toy cars, and toy rings. I picked up all of my treats at the dollar store, keeping the cost way down. They are a fun play on words that kids will really enjoy! To make these homemade Valentines, you’ll need small plastic treat bags (I used the 3 inch size), printable Valentines (provided below), treats, scissors, and a stapler. Easy peasy! 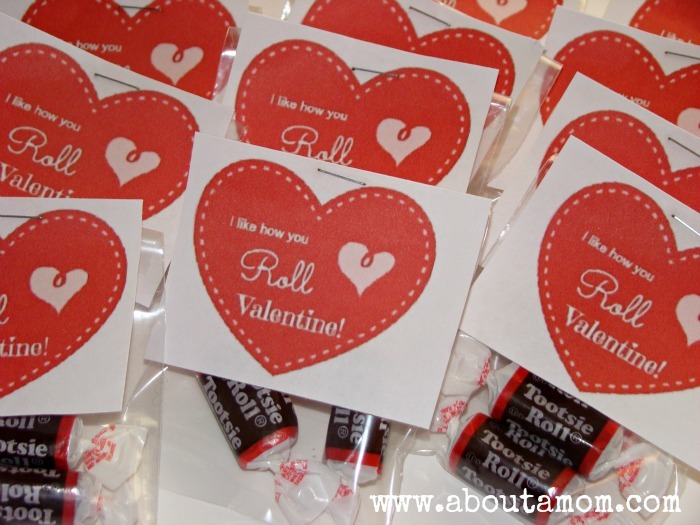 I like how you ‘roll’ Valentine! This printable works great with both Tootsie Roll and Rolo candy. Get the free printable here. I ‘wheelie’ like you Valentine! 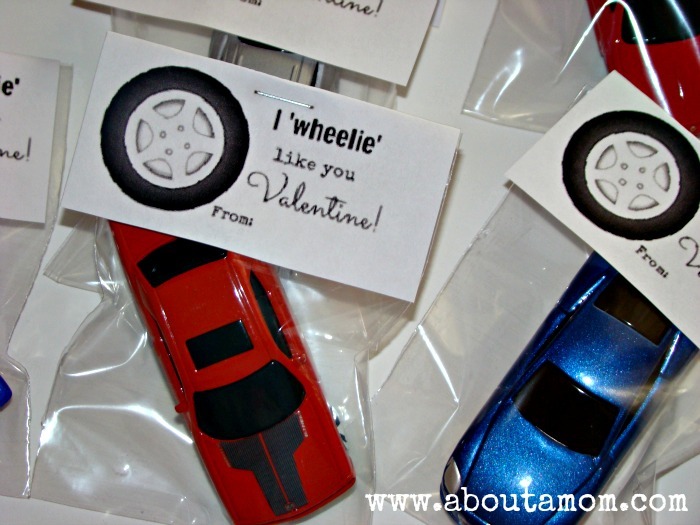 This Valentine is so fun paired with inexpensive toy cars. Get the free printable here. 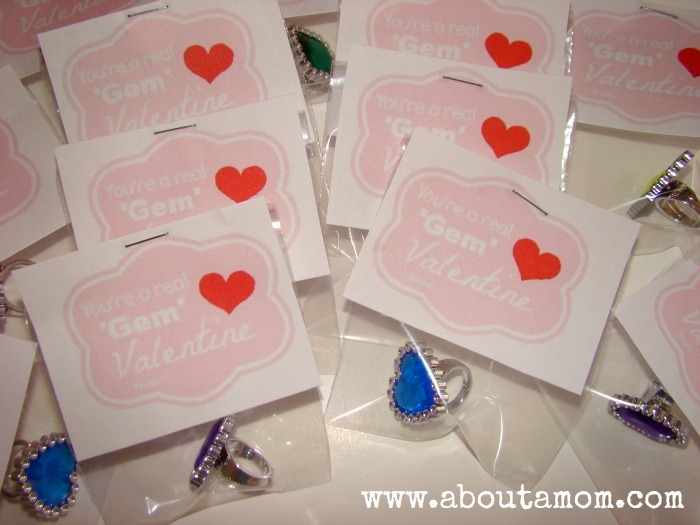 You’re a real ‘gem’ Valentine! Any little girl would be delighted to receive this Valentine! Get the free printable here. So, what do you think? Will you be making homemade Valentines this year? Oh, I’ve been looking for something a little DIY to do for my son’s daycare class! I think I’m going to use the tootsie roll one! I love these Valentine’s! Thank you for posting. So fun and easy. I also love free printables. That makes my life so much easier. I pinned this for later use! Hehe…I “wheelie” like you. Thanks for joining in at Teach Me Tuesday! Super cute! I did a similar version of the cars one last week for my son. He cannot wait to pass them out! You’ve got some amazing ideas here! They are all such cute ideas and very inexpensive! Love it! I wheelie lik you.LOL I LOVE it.